There have been multiple national reports stating Jake Spavital has taken the head coach position at Texas State, a team in the Sun Belt Conference that has struggled mightily since moving up from FCS in 2011. Originally Texas State was looking at Houston offensive coordinator Kendal Briles. When Briles confirmed he was staying with Houston, Texas State then focused on Spavital. Earlier this week, West Virginia University athletic director Shane Lyons mentioned the possibility of Spavital leaving for a head coaching position. This season Spavital was paid $500,000 and was set to make $550,000 in 2019. Evertt Withers was paid $700,000 to be the Texas State head coach in 2018 before being fired. Spavital has a lot of history in Texas. He was the quarterbacks coach and offensive coordinator at Texas A&M from 2013 to 2015. 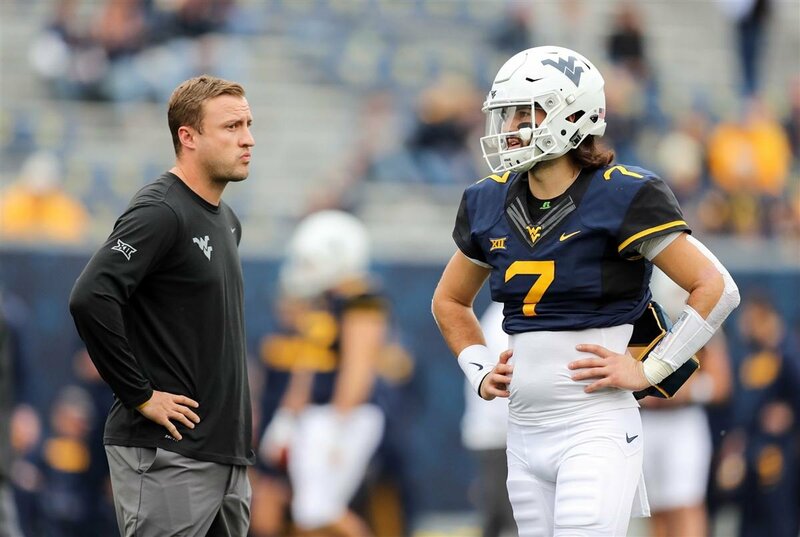 As the West Virginia offensive coordinator for the past two seasons, the Mountaineers have had one of the nation’s top offenses, led by Will Grier. Despite not making a bowl game in eight seasons since moving up from the FCS, Texas State owns the second-highest athletic budget in the Sun Belt Conference.